A very warm welcome to you – we hope that you and your children will enjoy your time with us. The Church of Youth and their leaders sit at the front of the Church in the first few rows on the left hand side. There is a soft play area for younger children, immediately adjacent to the pews used by the Church of Youth, furnished with soft toys and activities which the children are welcome to use whilst in the main Church service. Activities follow a theme and include bible stories, activities and prayer. On the first Sunday of the month we have a sports and crafts Sunday. All our volunteers are DBS checked. We use the various halls to hold the classes and children are brought to the Lounge area where the after service coffee is served once they have finished their activities. If children wish to remain in the service with their parents they are not obliged to join the Church of Youth classes. If you want a tour of the rooms where your children will be spending time with us, to be shown where you can warm a bottle of milk, where the baby change is, just ask and we will be happy to show you around. Messy Church is about all ages (young and old!) having fun. Messy Church is an opportunity for families to come to church once a month on a Sunday afternoon. We meet from 4.00 – 6.00pm on the 4th Sunday of every month and all ages are welcome. During the 2 hours we participate in lots of fun activities involving craft, art, junk modelling, games etc, a short time of informal worship with a story & songs based on a monthly theme and at the end a meal where everyone eats together. We charge £1 per child to cover our costs and all children must be accompanied by an adult. 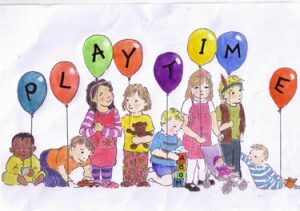 We also host the Petts Wood Playgroup for Children with Special Needs. This meets from 10.30 – noon every Tuesday during term time in the lounge (access via the Willett Way carpark). Little Fishes meets every Friday morning, during term time from 10.15am to 12 noon. Little Fishes is a friendly Christian playgroup for babies and pre-schoolers (0-4 year olds), and for the adults the opportunity to meet other parents and child-minders in the local area. We meet in the Kingsbury Hall, at Christ Church, Petts Wood on the Corner of Willett Way and Tudor Way. There is free play for the little ones and art and craft for the older ones with a children’s bible story, songs, dancing, and short prayer at the end. £1.50 per family which includes refreshments (Tea, coffee, squash, water and most importantly biscuits!). Please contact Mel at [email protected], for more information.